Get Behind ‘Pennywise: The Story of It’ While You Still Can! Crowd funding is an interesting thing. A decade ago it would have sounded preposterous to pay for a filmmaker to make a movie, but in today’s landscape there’s a very special feeling in knowing that you helped bring a special production to life. And with Stephen King as hot as he is right now (has King had a cold moment in the last few decades? 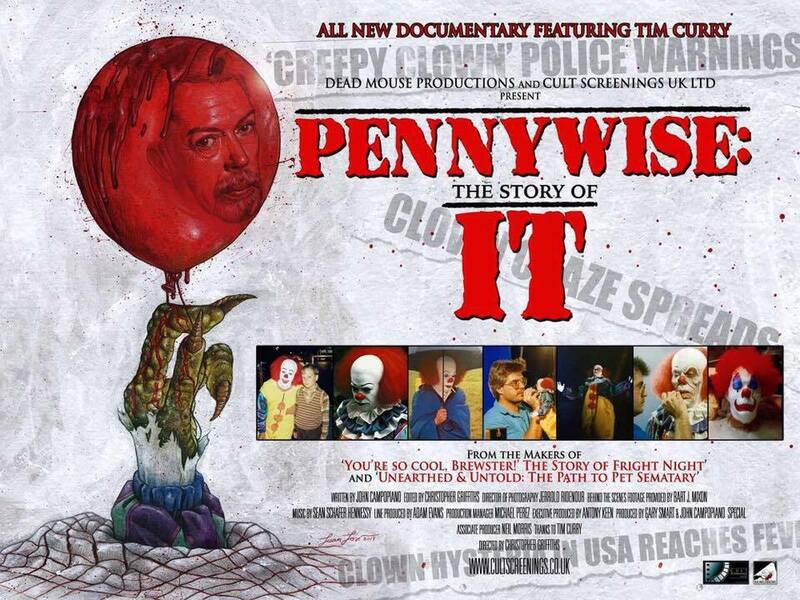 ), supporting a film that’s all about King’s beloved novel, It and his wicked creation of Pennywise, there’s an added layer of intrigue in being directly involved in the making of Pennywise: The Story of It. As you likely expect, it’s a documentary that delves deep into King’s work and the first made-for-television film that introduced so many non-readers to one of King’s finest creations. You’re going to hear from crucial players of the first flick, you’re going to see all sorts of unearthed footage. In short, you’re going to win with this one, especially with the crew behind it. From the makers of ‘You’re so cool, Brewster! The Story of Fright Night’ and ‘RoboDoc: The Creation of RoboCop’ and the director of ‘Unearthed & Untold: The Path to Pet Path to Pet Sematary’ comes this brand-new documentary celebrating the legacy of ‘Stephen King’s IT’ and the legend Tim Curry. With over 30 interviews and hours of behind the scenes footage this is YOUR opportunity to support this independent project and make it a reality. You can contribute to the Indiegogo campaign right here, and you can check out the slick video below if you need just a hint of additional motivation.